I don't think so. The pin mappings are different on the Teensy 2.0. 1. The XBOXPadMicro firmware is a gamepad for the XBox -- not a keyboard, not for PC. 2. Like the Micro, the Teensy 2.0 has a 32u4, but less input pins are available. Most AVR boards label pins according to the port names. This is a generic HID joystick that works out of the box in several devices, including the Playstation 3. Flashing procedure is pretty much the same documented in this topic for the XBOXPadMicro, except you need to change the .HEX file. Attached .HEX file for your convenience. EDIT: I have no freaking idea what an IPAC is, anyways, this firmware should get you going on several machines who aren't a classic xbox though. right side: 5v, up axis, down axis, next 3 nothing?, button12, 11, 9, 8, 6 and below it button 2. Some dont seem to do anything. Is there any way to edit the hex file to add dpad up? Some Arduino boards can very easily simulate a PC keyboard (and mouse, and joystick), so the answer is YES, it is a cheap alternative to ipac (or jpac with some additional component). Im also looking into the Mega 2560. Trying to figure out how to emulate a KB press on it right now. Lots of inputs and i can get them for $15 inc shipping. I think its the equiv to the atmega16u2? It has an ATMEGA16u2 chip, but that board uses it for USB communication. 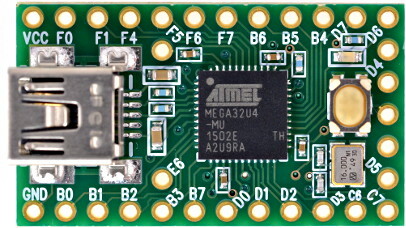 The main processor is the ATMEGA2560. It won't work with KADE Loader -- only Minimus boards will work with Loader's keyboard firmwares. I seem to be missing UP on the D-pad. According to Bruno's diagram, it should be on PC7 (upper left of the Micro) ==> C7 (lower right of the Teensy). Thanks a lot bootsector. I'm a noob with this kind of project but I will try it! For step 3, select the COM5 (COM6? COM7?) 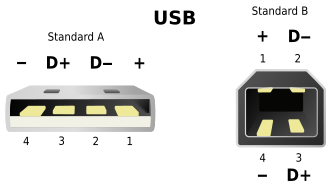 port instead of the COM1 port. Pl1 I'm trying to flash the XInputPadMicro not the XboxPadMicro. On the Git I don't see any .hex so I can't exactly follow the instructions he gave. I don't really know where to start really. Do I need to compile something? The compiled firmware hex file is attached to the November 7th post you quoted earlier. Here's a link to the .zip file containing the firmware .hex. Use ArduinoBuilder to load that .hex file on the Arduino Micro -- different filename but same 3-step procedure. "[FLASHING] Forcing reset using 1200bps open/close on COM3... no new port found"
Do I need to flash a bootloader first? My arduino micro is a chinese knock off. There should be a bootloader installed, even on a chinese knockoff board. When you press the reset button on the Arduino Micro, it should go into bootloader mode for about 8 seconds. During that time, does a different COM port appear? If so, use that port. If that doesn't work, try the process described here to load a simple sketch like "blink" then load the firmware. I usually only need to do this process after successfully loading a .hex firmware like XBOXPadMicro or StefanBurger's Illuminated Spinner. Most of the hex uploaders like the Freematics Arduino Builder are actually quite bad at handling Atmega32u4 uploads because most of them were designed for AVR109 with the butterfly bootloader part tacked on. Use https://github.com/christophediericx/ArduinoSketchUploader if you are uploading hexes and uploading to Leonardos or Pro Micros. don't short the reset pins, just upload with the program. Looks like ArduinoSketchUploader might be a good alternative for anyone having problems loading .hex files with ArduinoBuilder. For a reason I can't explain, when I plugged my Arduino, Windows 10 showed me a Com4 used. 5 seconds later it showed me Com3!? ArduinoSketchUploader automatically detected the right Com: Com4. ArduinoBuilder didn't let me change the Com. The changing port number is normal behavior. - Bootloader mode port number is one higher than normal mode. In most cases, the ArduinoBuilder GUI works perfectly for loading a .hex the first time, but it can be finnicky when reprogramming. Haven't tried ArduinoSketchUploader yet, but it looks like it can put the board into bootloader mode, auto-detect the COM port, and upload a .hex file -- all three via a single command line command. Pro: Should be easy to write a .bat file for uploading .hex firmwares like Bruno's XBoxPad or StefanBurger's Illuminated Spinner. Con: Doesn't appear to support EEPROM uploads like AVRDude does, so it won't work with miniArcade 2.0 firmwares. Different tools for different jobs. Choose the tool suited to the job you are doing. Guys the verdict about this controller is very positive. Windows 10 see an XBox 360 controller and it work with Cuphead and MKX. No more Vjoy for me. For now, I will keep my ipac UIO connected but I will see if I still need it. 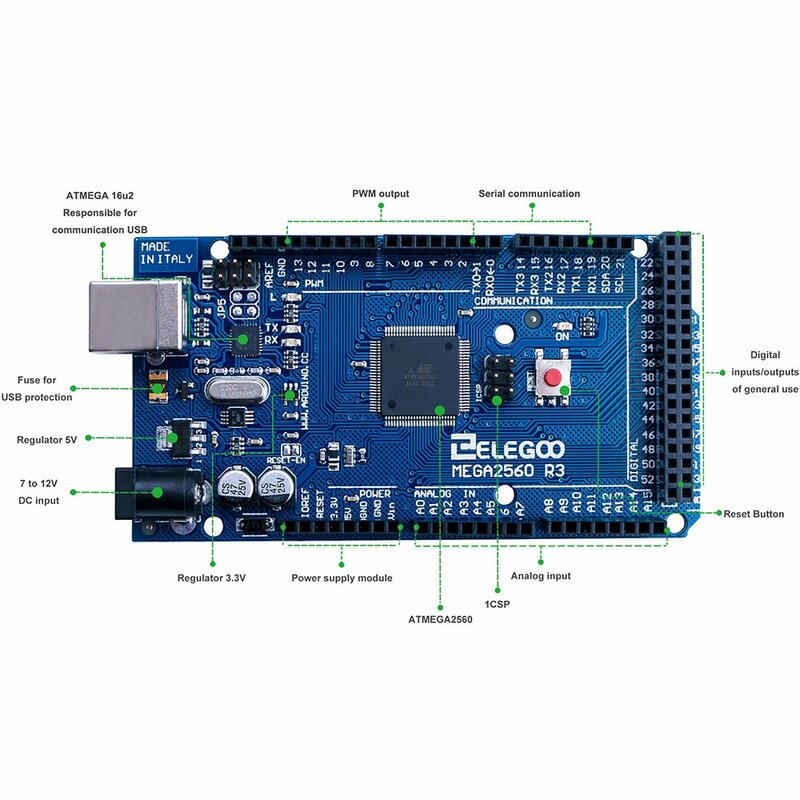 PL1 you seem's to know a lot more than me about Arduino. I tried to put a switch to the usb cable connected to my Arduino micro. I connected the switch to the red cable (5v). I can see that in Windows, the xinput Arduino controler disconnect/connect without any problem when I activate the switch. But I still see a led activity when the switch is off!? 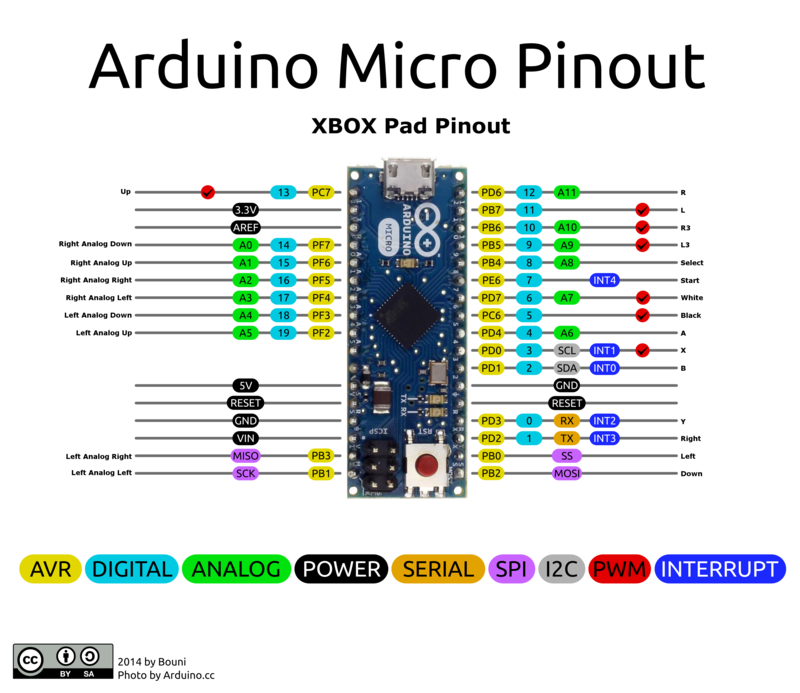 Maybe the Arduino take power from the arcade buttons because there are still connected to the Ipac and my usb U360 are connected to the Arduino. Or the red cable wasn't the VCC. Moreover, when I turn on the switch, the red light flash slowly and after maybe 3s the green light turn on too. I don't see that happening when I connect/disconnect the Arduino with a non modified USB cable: all LEDs turn on immediately. Do you think my modified cable could damage the Arduino? Thanks! The red wire should be 5v unless you got one of the cheap cables with non-standard wire colors. There probably is some voltage leakage from the IPac ports to the Arduino ports, but it probably won't cause any damage. If you want to prevent power back-feeding from one board to another through the button microswitch wiring, you can use diodes wired like the "Shazaaam! + X (one click)" switch -- one diode + "Input X" wire to the IPac input and one diode + "Shazaaam!" wire to the Arduino input for each microswitch. Any common "1N4" series diode like 1N4001 should be suitable for this application. I'm guessing these boards are small enough to fit inside of an original NES, SNES, N64, Atari and Genesis controller, thus making it possible to modify a controler of your choice to work with the original xbox. I'm guessing these boards are small enough to fit inside of an original NES, SNES, N64, Atari and Genesis controller, thus making it possible to modify original controlers to work with emulators available on a modified xbox. You might be able to mod some of those controllers like that, but AFAIK that wasn't Bruno's plan for the XBOXPadMicro. It is usually used to connect arcade-style joysticks and buttons to an XBox. If you want to use original (unmodded) console controllers with an XBox, check out the KADE miniArcade 2.0 and the associated KADE Multi-Out expansion board. Bruno has also developed the RetroPad32 -- a follow-up to the (several-years-overdue-delivering-european-Kickstarter-rewards ) KADE miniConsole+. I flashed this hex file on a cheap Arduino clone with ATMega32u4. Everything went fine. The ATmega32u4 is now showing up as a Xbox 360 controller, but I'm missing some controller functions. I don't have a 'left analog up/down' and no 'digital left/up'. This cheap Arduino clone has only 12 pins left and 12 pins on the right side. The A0, A1, A2 and A3 dont show up as Xinput. These pins show up as Direct Input, resp. Y-axis plus, Y-axis minus, X-axis plus and X-axis minus. Is this normal behaviour or is there any way to use the missing controls as one of the A0-A3 pins? I found another hex file, here https://github.com/bootsector/XInputPadMicro/issues/2#issuecomment-401362957 with A0 to A3, but now I'm having trouble reflashing my Pro Micro. The COM4 port disappears shortly after reset, so I can't upload any new hex files. Earlier in this thread, fablog recommended using ArduinoSketchUploader since it does a reset via software, auto-detects the COM port, and reprograms the board -- there's no need to find the correct port and manually reset just before reprogramming. Yes, I used ArduinoSketchUploader. Before I first flashed it, I got a COM port. After flashing I don't have a COM port, only a Xinput controller. Now when I try to upload, I get an error "Specified COM port name '' is not valid". When I first reset it, I get another error "Port not found"
Next thing I'll try, is using a different computer. I'm at a loss again Are there perhaps more hex files I can try? Or should I try to alter the source code and compile a configuration specifically for my Pro Micro? Glad you got your board to reprogram, sometimes they can be a bit finnicky. The Pro Micro board doesn't have connections for seven ports. Dropped an e-mail to Bruno since he hasn't stopped by the forums recently. Hopefully he can help you with advice on modding the source if you choose to go that route. Here's Bruno's reply to my e-mail. Hope it helps. It looks like start and back (select) are mapped to pins B 4 and B5, which seem available in the Pro Micro board. Are they not working? I have compiled the hex and attached it to this email. How difficult is it, to change the source code and compile the hex myself? Why not use the KADE miniArcade 2.0 firmware instead and the Windows configuration tool? But then I won't have a Xinput device. With a Xinput controller I can simply add modern games (SFIV, SFV, Mortal Kombat X, etc) to my bartop. You need to setup the AVR toolchain first. After toolchain is installed, running make on the source directory should get you a .HEX file after a successful compilation. Now I have a working D-pad! The analog sticks are incomplete, but I wasn't planning on wiring them. Page created in 0.31 seconds with 61 queries.